May 3	Joanne August. From the Scranton area, singer-songwriter Joanne August makes her Homegrown Music debut with a nice collection of folk- and rock-influenced original music marked by intelligent writing and appealing vocals. May 10	Christy Jefferson. 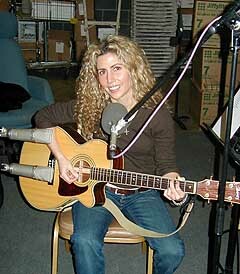 Doylestown singer-songwriter Christy Jefferson returns to Homegrown Music for a fine set of new original songs. 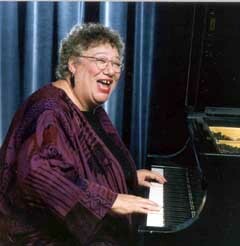 Known for her beautiful vocals, Ms. Jefferson performs both at the piano and on acoustic guitar. 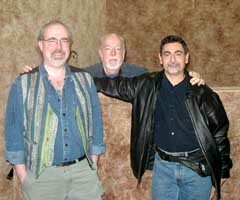 May 11	A Homegrown Jazz Special with the JOE BATTAGLIA TRIO. Talented New Jersey composer-guitarist and Homegrown Music regular Joe Battaglia is heard in a trio setting with bassist Richard Messbauer, who also contributes compositions, and drummer Glenn Davis (known for his work with Marian McPartland). The material ranges from the sensitive to the exploratory. Note: Start time 7:00 PM, during WVIA's All That Jazz. May 17	John Bakaysa. A second-generation Homegrown Music artist, John Bakaysa makes his debut on the program with a collection of energetic, and sometimes bluesy original songs performed in a solo acoustic setting. May 23	A Homegrown Music Concert with ANN RABSON and THE BLIND CHITLIN' KAHUNAS. WVIA's monthly series of Homegrown Music concert-broadcasts presents an evening of the blues with one of the great women of the blues Ann Rabson, and first-rate regional band. A founder, and still member of the nationally acclaimed Saffire, the Uppity Blueswomen, Abb Rabson combines great piano playing, as well as performing on guitar, with first-rate songwriting, to create songs that capture the essence of the blues while performing her clever, often witty and downright sassy lyrics that look at the blues from a woman's perspective. 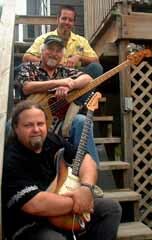 The Blind Chitlin Kahunas, from the Lewisburg area, were the winners of the 2004 Billtown Blues festival competition. The energetic trio serves up blues in classic style featuring both original material and blues standards. Their impressive musicianship and solid vocals make this a band one of the bight lights on the Pennsylvania blues scene. As usual, WVIA's listeners are invited to be part of the studio audience. Admission is free by advance reservation on a first-some-first-served basis. Seating is limited. Phone 570-655-2808 for free reservations. (Note: start time 8:00 PM). May 24	Lorne Clarke. This week's Homegrown Music segment is an encore of a 2003 session by a series favorite Lorne Clarke, a Canadian-born Tunkhannock-area resident whose fascinating career has included stints as a policeman, work in the merchant marine and as a farmer. He is also the originator and producer of the Old Lynn Church Concert series, and is partner with Tom Flannery in the "Song a Week" website. This collection of songs draws on Clarke's experience, often telling fascinating stories in song. May 31	Joe Rathbone. This is the third appearance by New Jersey native Joe Rathbone, whose music combines a melodic pop-rock with an acoustic setting. 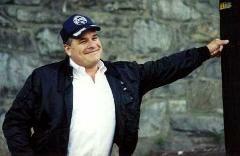 His most recent CD I Can Hear the Windows of your Heart Breaking has been receiving national attention. Rathbone stops into Homegrown Music and performs a brand new collection of original music not available on CD.